So – how long will it take me to become qualified? Remember that all our training is free and so there is no time limit for qualification. Everyone learns at their own speed and it is important to us that you, and the instructors, enjoy the training. 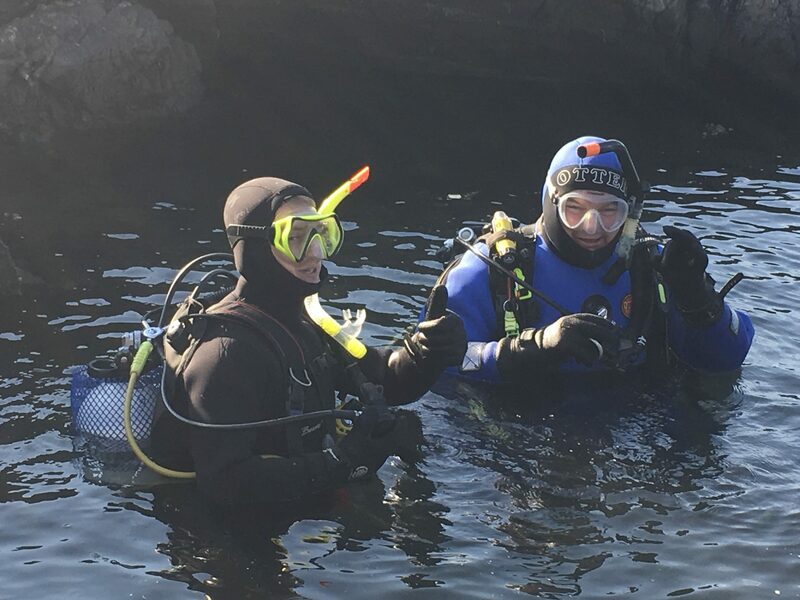 Our instructors are dedicated to getting you through your training as swiftly as possible, and trainees who attend every week and join in on the Saturday or Sunday dives will progress quicker. We teach you to scuba dive in a swimming pool before continuing your training in the open water. Some trainees have become qualified and gone on to become an instructor in the space of 18 months, whereas others who can’t attend as often can take several years to get qualified. We follow the ScotSAC training programme very closely. You will be taught to dive safely and deal with conditions that you are likely to meet in Scottish waters. Training starts with basic a swimming assessment; we have had trainees who have just learned to swim and are now qualified divers! You will then move onto snorkel work and an introduction to the basic equipment, before starting real diving in the pool with a full scuba set. You can see the training schedule here. Alongside the practical sessions in the pool is a series of lectures which teach you the necessary diving theory. This covers a variety of topics, such as how to navigate underwater, calculating air usage and the effects of nitrogen on your body. At the end of the training is a short examination which tests your understanding of diving theory. And then….out into the big, blue yonder for open water training!